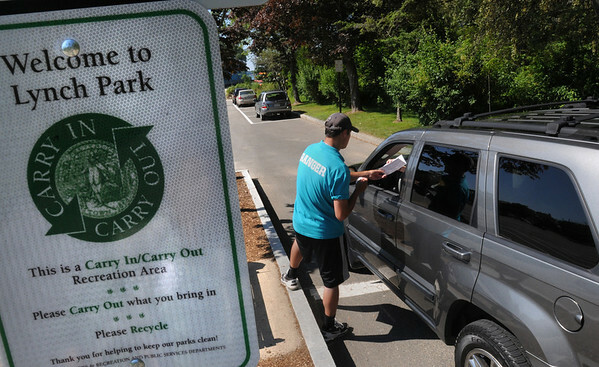 Scott Blanchette, Lynch Park gate attendant, checks the car registration for residency at the entrance at Lynch Park. A Carry In Carry Out sign is at the entrance. The signs are posted at various spots in Lynch Park. Photo by Ken Yuszkus/Salem News, Friday, July 15, 2011.